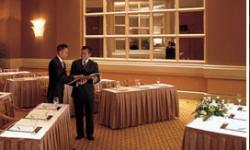 Why not host your Meetings at the Conrad Centennial Singapore. The Conrad Centennial Singapore is equipped and designed to meet the diverse needs of today's business travellers, corporate trainers and event planners. With multiple floor plan flexibility, along with state-of-the-art meeting and training rooms, the Executive Conference and Meeting Centres are designed to enhance your meeting productivity and to encourage interaction among attendees. The Conrad Centennial Singapore offers a wide selection of versatile meeting rooms, supported by the highly efficient Conrad Business Centre, that provide the ideal venues for seminars and Meetings in Singapore, large or small. All the meeting rooms are in keeping with the dynamic architectural style of the hotel and are completely integrated with Conrad Centennial Singapore's different life spaces - its restaurants, bar and spa - all with particular and changing atmospheres. Located on the 2nd, 4th and 5th levels, Conrad Centennial Singapore's conference and meeting facilities include nine meeting rooms, one of which can be further broken down into three separate sections. 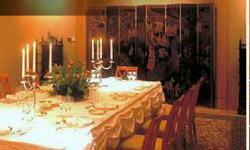 These flexible meeting spaces can also be configured to host a variety of social gatherings, including cabarets, banquets, weddings and cocktail parties. The Conrad Centennial Singapore also offers Cooking class competitions and team-building games that can be arranged off-site. Yo won't be disappointed arranging your Meetings at the Conrad Centennial Singapore.